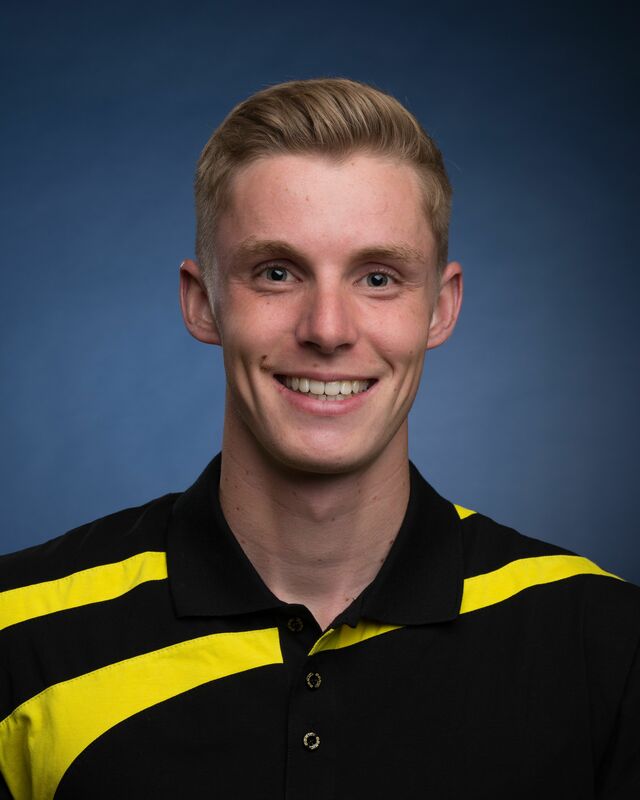 In the second part of our interview with Christian Götz, the former active member of Team KA-RaceIng of the Karlsruhe Institute of Technology (KIT) tells us of the challenges, advantages and highlights of his time spent in the Formula Student. Christian, how do you juggle your Formula Student commitment with your studies? I want to invest a lot of my time in the project because it’s very important and I have fun doing it. Since I want to gain a lot of practical experience, but also because I want to do the best job I can, I suspended my studies for a year in order to concentrate fully on Formula Student. But I don’t see it as lost time – I’ve learned a lot and have acquired a new perspective on many things, something companies also recognize. 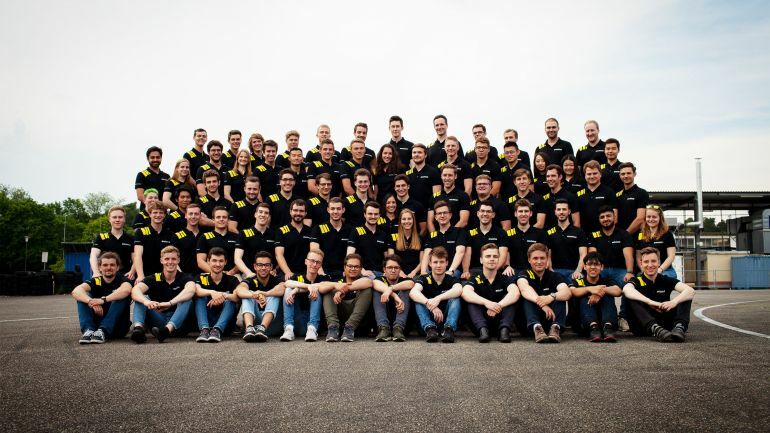 What has been the biggest challenge for you during your time with Formula Student? The toughest thing is actually studying the specific subject area of the component in a very short time and acquiring a significant level of expertise and specialist knowledge. I am already familiar with the basics from my studies, but we don’t study these topics very meticulously and in so much detail at university. That would go beyond the scope of what we study, especially since the first four semesters are more likely to be geared towards basic studies. So there are only three months left to develop a component. In my opinion, the greatest challenge is this: to get one’s knowledge from 0 to 100 in an extremely short time and to use it to achieve good results. What was your personal highlight during this period? My highlight was the rollout at the end of April, when we presented the finished cars to many people for the first time. You tell your family and friends a lot about the project beforehand, but often they cannot really imagine much of what it’s about. Everyone then comes to the rollout and sees what we have being working on as a team over the last six months. When you see the vehicles standing there, you are very proud and you know that every second of work involved with them has been absolutely worth it. This is the moment we have been working on the whole time and for which everything should be finished and perfect. 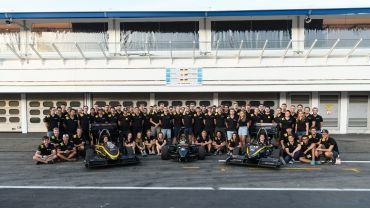 What advantages do you see for yourself by participating in Formula Student? On the one hand, everyone develops their ability to work with other people, because the team requires a high level of communication; we have to coordinate with each other using a variety of languages and we have to learn to compromise in order to find the optimal solution as a team. Added to that, on the technical side, you gain completely fresh insights into many things. Although we each specialize in the field associated with the component we are working on, we also learn a lot about racing cars and vehicle technology in general. In terms of the electrical drive field, I have also picked up knowledge relating to suspension, aerodynamics and the combustion engine, etc. By working together, you get a very good perspective on a wide variety of areas. In addition, everything we do is up to date and cutting-edge. Our goal is to develop the fastest car and achieve maximum performance. Therefore, of course, we try to use the best products. Plus, at KA-RaceIng, unlike with studies, you can practically experience the entire development process from start to finish. In other words, not only do you design the component on the computer and simulate it, but you also get to hold the finished product in your hands and hope that everything works out the way you expect in terms of handling the stresses. Christian, you almost have your bachelor’s degree now. Do you have any advice for those just embarking on their studies? You should definitely do something practical while studying, whether it’s a commitment to Formula Student, another university group, or an internship in a company, so that you can gain an overall picture of why you’re learning. Practical experience makes it easier to remember everything better too. Thanks to my year at KA-RaceIng, I now go to my lectures with a completely different viewpoint. I used to study more or less because I enjoyed it and to pass exams. Now, at university, I appreciate why the theory is useful and I really want to develop because there are so many exciting things I don’t know about yet. I now have a much clearer idea of how everything can be applied directly. Christian, thanks for the informative interview! We wish you lots of fun and success in your studies! 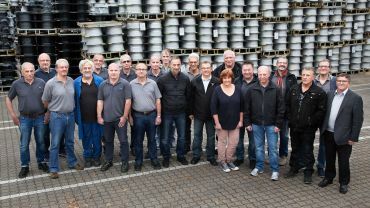 The interview was conducted by Mike Nagel and Dennis Freier from RONAL TECHNOLOGIE GmbH.